Making September an “A-Mazing” ride to remember! Summer has been a season full of opportunities for the motorcycle enthusiast. With dozens of bike nights, poker runs, charity events, planned trips and sun shiny days, I hope we can all say, it has been a blast! Personally, I have experienced a plethora of ride options made available to riders of any interest level. From pop-up rides to the largest organized events, riders continue growing and uniting together with a unique brother and sisterhood all for the love of riding. 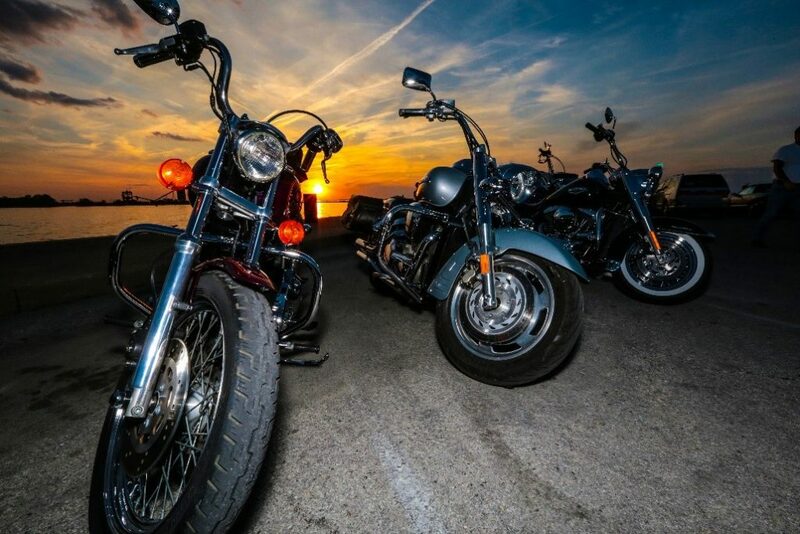 The memories made along the way encourage us even more to get out, ride, and expand our horizons. With summer doming to a close, we welcome the fall season; anticipating the feel of crisp fall air kissing our face and riding thru the canopy of beautiful fall colors. Ohio’s Amish Country offers a variety of fall events, scenery and unique ride stops. Here’s a few amazing ride stops to welcome in the fall riding season! Beriswill Farms features their annual corn maze opening September 15. This year’s maze will be “sharking”! Whether you’re looking for a great burger or entertainment, Thursday night is burger night at Gandalf’s Pub & Restaurant with live entertainment on Saturday. Gandalf’s has food selections to fit anyone’s taste buds. “Hay”! It’s your turn to create your own fall ride to Bauman Orchards. Save room for a hearty meal or salad bar at the The Barn Restaurant. Dine where the cows were kept, farm hands worked, and friends gathered after a hard day’s work for a big farm dinner. The Barn Restaurant presents a rural atmosphere of dining pleasure, located in farming country. Paint your own pumpkin and take a *free horse drawn wagon ride at Patterson Fruit Farm. Open 7 days a week, the Annual Fall Fun Fest begins on September 15. Activities include a corn maze, nature hike through the ravines and hills of Geauga County. * The free horse drawn wagon ride runs from 11 – 4, Sat and Sunday. Treat your special someone to some R & R at one of Geauga’s finest bed and breakfasts. In closing, I have had a great time so far with the motorcycle community. 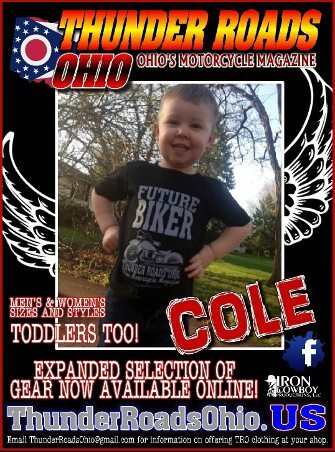 Meeting our readers and followers at bike nights and various events tells me you want to stay current as to what is going on. I hope to meet YOU at one of the Thunder Roads Events. “Don’t count the wheels, just enjoy the ride”!